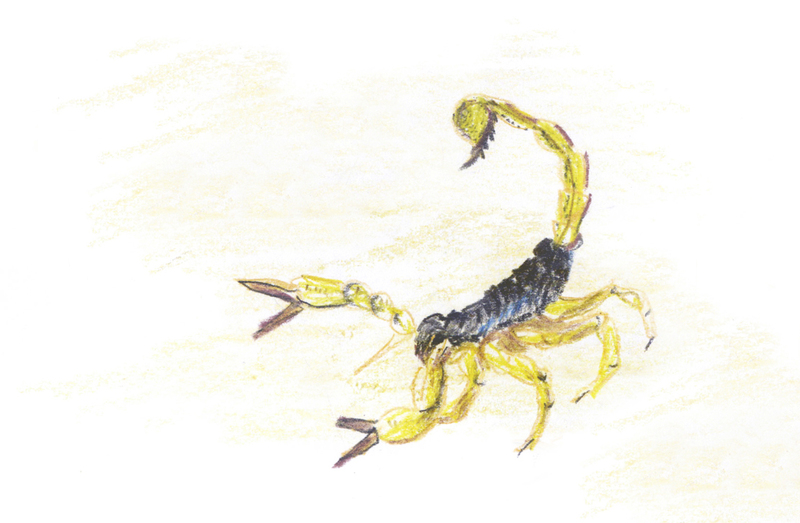 The Illustration Work of Louise Byng as seen from Earth. : Jalisco. I was asked to illustrate two poems for Commas & Colons magazine, to be included in their latest edition celebrating short poetry and prose. Both poems were written by Konnor Thorpe, who uses a rhythmic, well-formatted style that I enjoyed responding to. 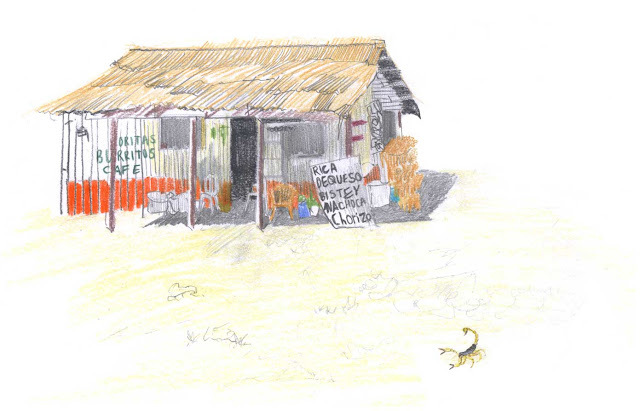 For the first, Jailisco, I drew this little ramshackle taqueria and visiting scorpion under the hot sun. You can see my illustration alongside other responses to Konnor's work here.